We’re giving away $3,000 per cub! It’s Autumn and harvest season is the perfect time to get rooted in your own wellness by joining the CAC Weight Loss Challenge! Only $35 to enter! Registration closes October 6th at 11pm. Must be an active CAC member and 18 years old to participate. Plus, check out these great nutrition programs to help you win big! Have you tried one diet after another with limited success? Maybe you’ve lost weight in the past but gained it all back and more. If you're hoping to make a lasting lifestyle change then this class is for you! Join us to tackle a fresh nutrition topic each week and change your relationship with food for well beyond the next 6 weeks! 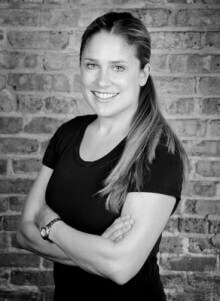 Individual nutrition consultations with CAC's registered dietician and personal trainer, Stephanie Fiorentino, to keep you on track and hitting your goals. Special offer during CAC Weight Loss Challenge! Please join us on Sunday, October 21st from 4-6 pm at West Loop Athletic Club for the dedication of the pool mural and memorial plaque to honor Angela’s memory. Light refreshments will be served after the ceremony and dedication. This will be a Les Mills Launch like you’ve never seen before! The newest Les Mills workouts with a Music Fest vibe. Join us for the Opening Acts week October 20-26th and get your VIP Pass to track your Les Mills classes. We’ll complete the celebration at the Main Event Friday night and Saturday morning featuring Les Mills international presenters straight from New Zealand! Keep your eyes open for more information about Opening Acts week and how to register for the Main Event! 3 for $99 Swim Promo in October! This month we are offering 3-30 minute private swim lessons for only $99! One on one training that will take your swim game to the next level. Take advantage of this limited time offer! Climbing EAC - Obstacle Climbing Club is BACK! We are starting up again Sunday Oct 14th for more fun and games during OCC from 8:45-10am every Sunday. We kick off the morning in the 4th floor Gym with an awesome obstacle course to get the blood flowing. Later your child will scale great heights on Evanston Athletic Club's main climbing wall. No prior experience necessary. Space is limited, advanced registration recommended. Click here for Pricing and Registration info. Are you ready to jump start your adrenaline on the climbing wall? Join us for the comprehensive Adult Beginner Climbing Class. During this three week course our knowledgeable instructors will help you get comfortable and confident with knot tying, belaying, and basic climbing technique. Get 2 free guest passes if you and a friend to sign up in the same session. Next session starts soon so hurry and reserve your spot today. Click here for registration information and class dates. Strength Squad is a progressive training program in a small group setting. We combine effectiveness of working with a personal trainer and the motivation of teammates. All fitness levels are welcome! No matter what your fitness goals may be, Strength Squad is for you! Get Strong and Strengthen Your Bones! It is important for women to engage in resistant training to build bone density/prevent bone loss at any age. Private or semi-private sessions of up to 4 people, so bring a friend! Join us for the this FREE event at EAC and experience everything our PT department has to offer. Plus a chance to win prizes. More details coming soon! Come to EAC for your pre and post massage by one of our 8 licensed therapists. Relax your aching muscles in the whirlpool, steam, and or sauna. Also, Shiatsu is a great way to get your stretch on. Ask for an appointment with Liz. Parent’s Night Out: Halloween Bash! Join EAC Kids Club Staff for a night of Spooky Fun to include an arts and craft project as well as a (not so) spooky story time. Costumes not required, but encouraged! Please plan to arrive for our Kids Club Costume Parade at 7:30pm. The final phase of our $500k LVAC Refresh project is coming soon at the start of October! We are excited to be installing brand new lockers and carpeting in both the Men & Women locker rooms! *Dates subject to change based on progress of the project.